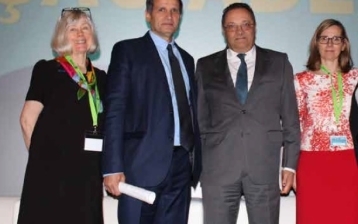 APNEP has organised meetings with the presidents of the different Health Professionals, requesting the collaboration of its members for the dissemination and creation of training activities regarding the problem of malnutrition. 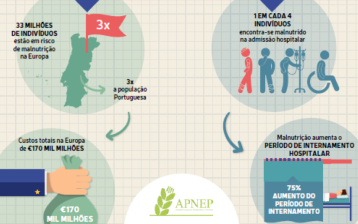 APNEP has had regular meetings with Patient Associations to support their difficulties regarding home nutritional support (Portuguese Association of Inflammatory Bowel Disease, Portuguese Association of Cerebral Palsy, …). APNEP has been operating for several years the Undernutrition Study Group, coordinated by Professor Teresa Amaral wth the following objectives. 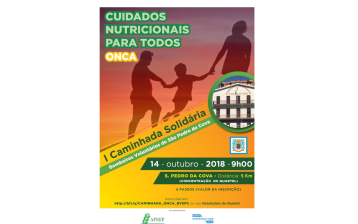 APNEP, after its admission to ONCA, created the Nutrition for All Study Group with the objective of sensitising several personalities with influence in different areas of health to promote greater awareness of malnutrition in Portugal. 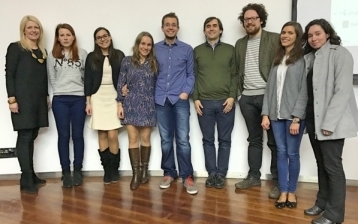 We have promoted to the national newspapers of studies carried out in Portugal in the area of malnutrition, by different Portuguese researchers. We have periodically written opinion articles in national newspapers on the problems associated with malaise associated with the lack. APNEP has promoted meetings with the Medical Universities, in order to promote the obligation to include Nutrition chairs in the Medical Pre-graduation courses.